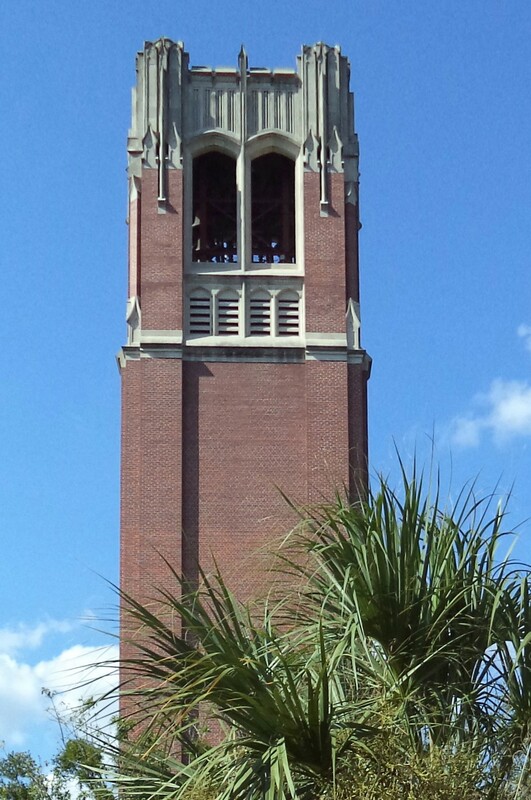 Century Tower is one of the most identifiable features of the University of Florida campus. The dream of building a tower began in 1953, when alumni sought funds to construct a monument in memory of students killed in World War I and World War II. The tower also commemorates the 100th anniversary of the founding of the University of Florida in 1853. The fund drive resulted in the construction of the 157-foot-tall tower, completed in 1956. To the tower was added an installation with so-called ‘electronic bells’. 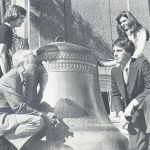 In the 70’s, action was taken to install a real carillon in Century Tower with funds accumulated from student fees over several generations of students. 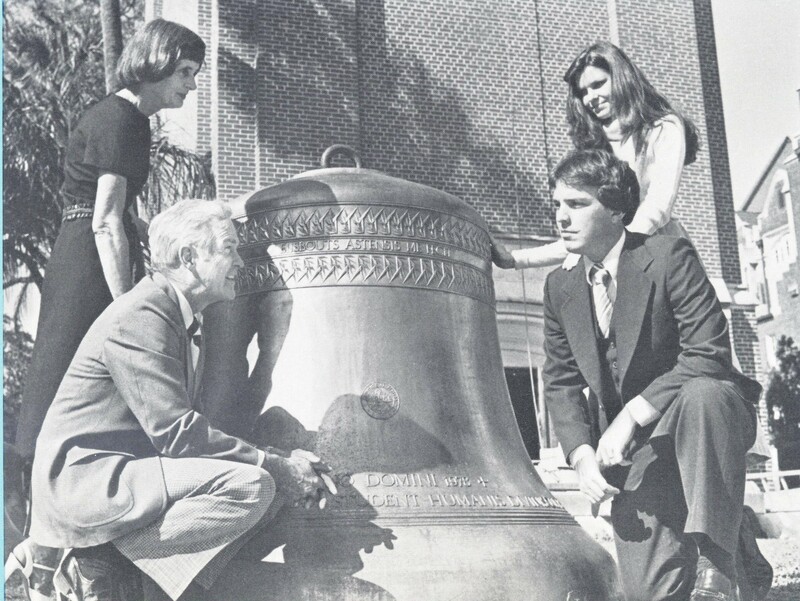 The Student Senate endorsed the carillon purchase unanimously in 1976. The original 49 bells housed on the top floor of the tower were cast in 1978 by the firm of Koninklijke Eijsbouts of Asten, the Netherlands. 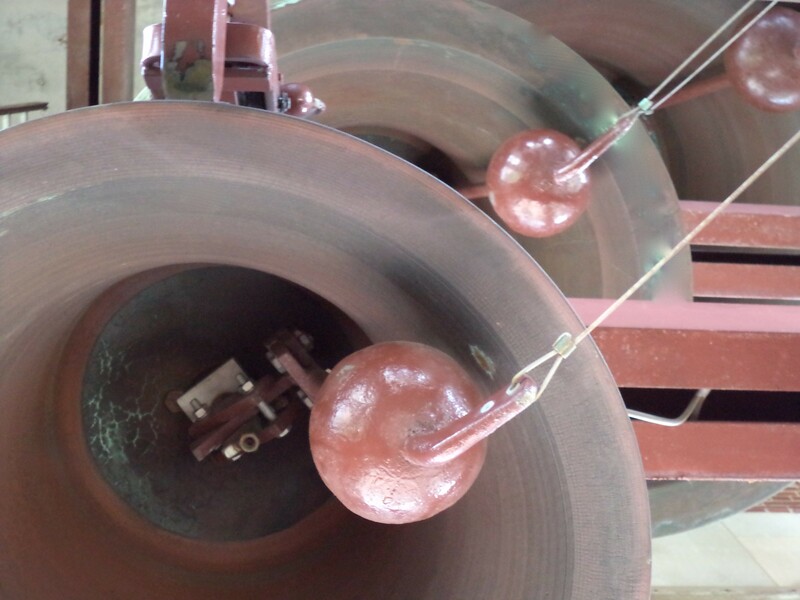 The bells were dedicated on 14 May 1979 in recital by Milford Myhre. Former chairman of the UF School of Music, Dr. Budd Udell, wrote Century Tower’s unique clock-strike melody. 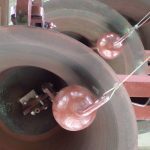 A major gift from the Estate of Larry A. Webb of St. Augustine, FL, made possible major upgrading of the carillon in 2002. 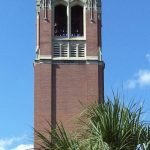 Webb directed his gift to support instructional and performance programs of the carillon program at the University of Florida. The renovation, carried out by Eijsbouts was completed just in time for the 9/11 memorial of 2003. 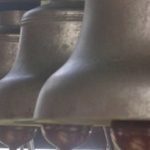 The generous gift from Webb funded the installation of 12 additional treble bells, bringing the total number of bells to 61. The carillon also received a new playing clavier and new radial transmission playing action. Five bells plus the bourdon are equipped with electric action and are connected to a newly installed computer system that plays the quarter and hourly strikes. Upon the recommendation of President and Mrs. Robert Q. Marston, the carillon is a gift to the campus from students, both past and present, and stands at the center of this community of scholars, marking the movement of time, heralding occasions of importance in the lives of its people, and pealing music of all ages to delight the common spirit.